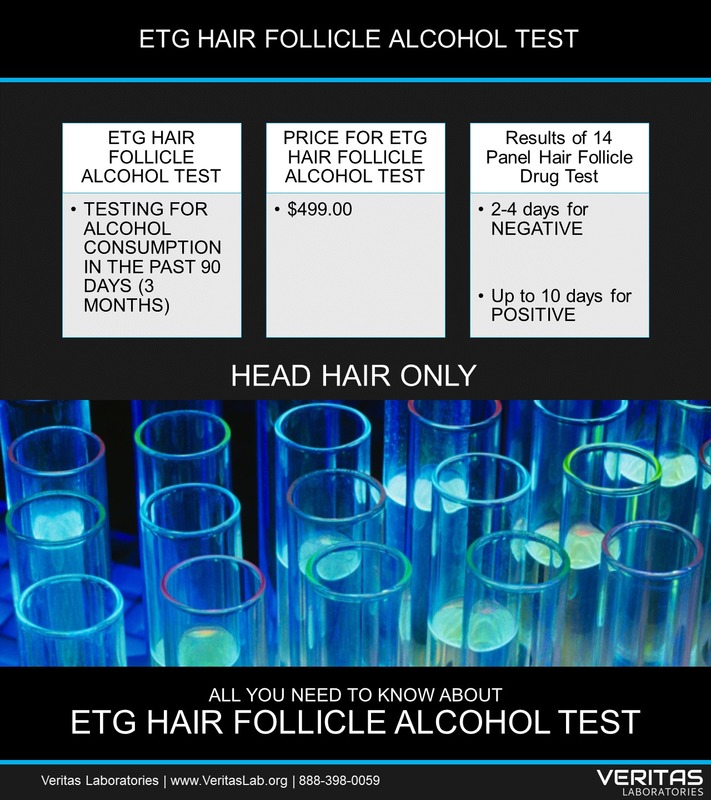 YOU MUST HAVE AT LEAST 1.5 INCHES OF HAIR ON YOUR HEAD IN ORDER TO DO AN ETG HAIR FOLLICLE ALCOHOL TEST. 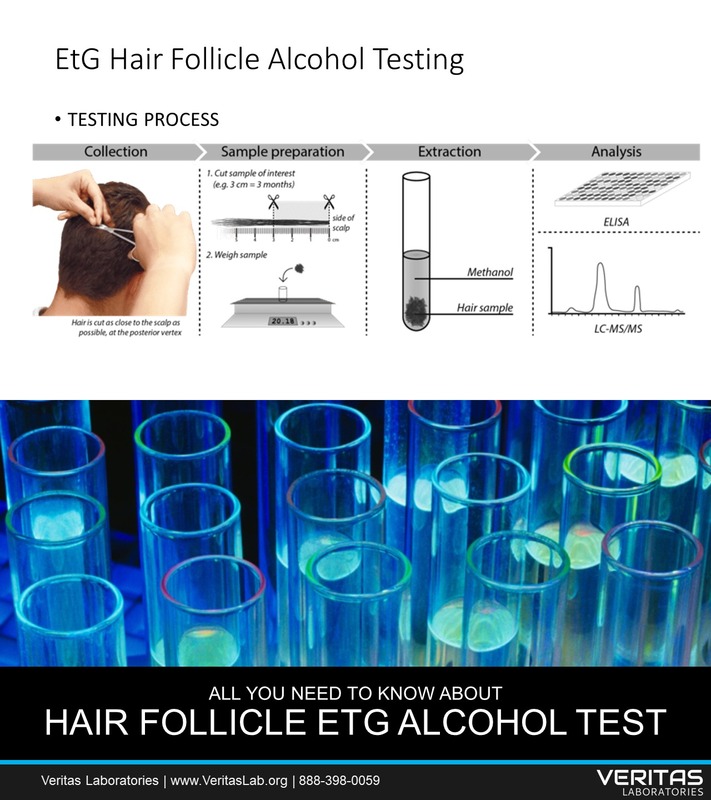 For EtG Hair Follicle Alcohol test, we only can collect hair from your head. 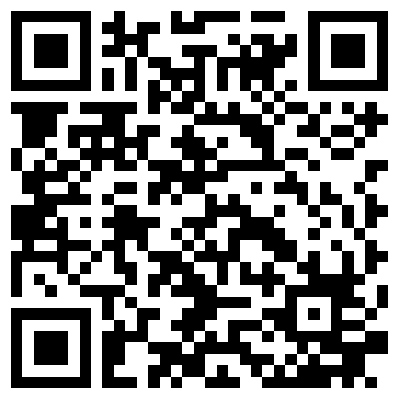 No body hair can be collected for the hair follicle alcohol test. Your hair must be at least 1.5 inches long. 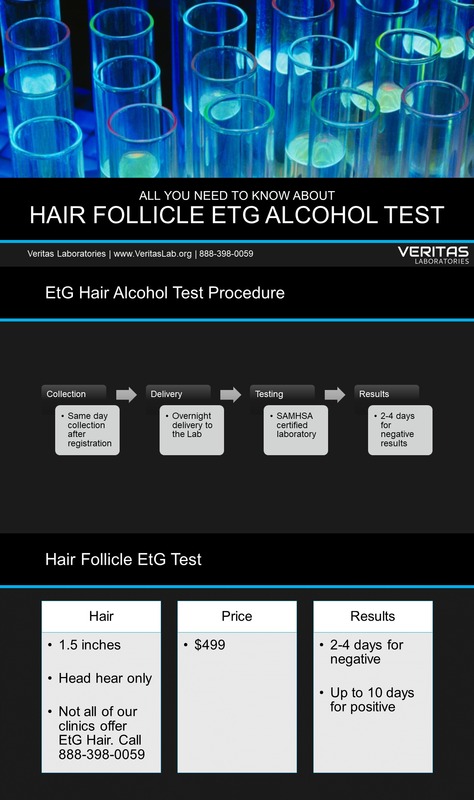 Veritas Lab requires at least 120 strands of hair in order to perform Hair Follicle EtG Alcohol Test. 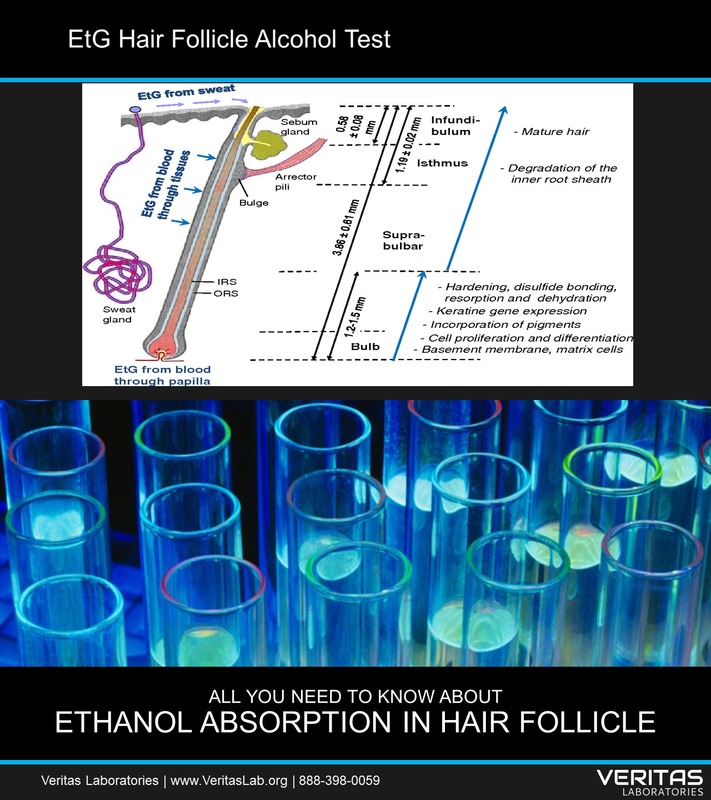 Can I follow the news about EtG Hair Follicle Alcohol Test on Facebook And Twitter?